Extreme 800-ft. range for immediate access. Features two buttons to control up to two garage doors or gates. The Chamberlain Universal Remote can even operate up to two different brands of garage door openers by programming each garage door to a separate button. Programming is easy. 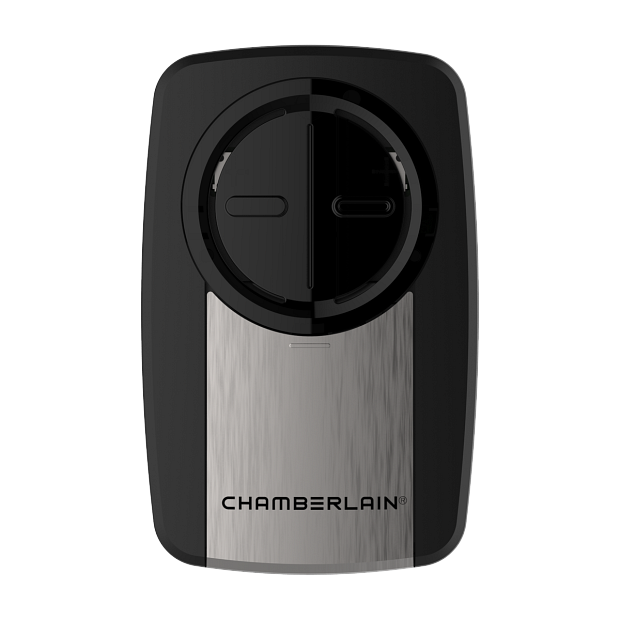 The Chamberlain Universal Remote programs wirelessly to the garage door opener and does not require you to cut into wiring or install an unsightly receiver in your garage. The Chamberlain Universal Remote features long battery life, and withstands rigorous quality testing.Visor clip, battery, and instruction manual are included.